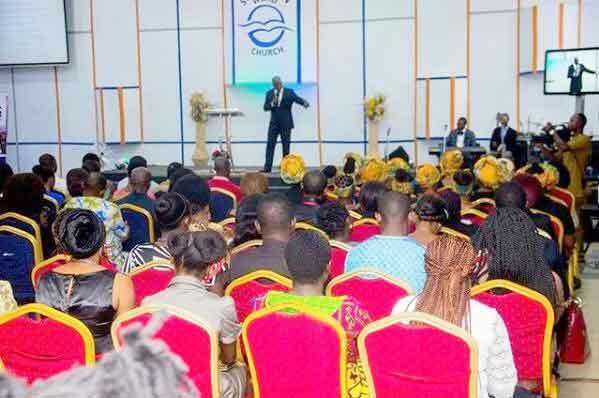 Recovery channel was birthed out of a passion and vision given to a great man of God; Dr. Antoni Okoh, the senior pastor, Sovereign Word Church, an arm of human healing international. A commission vested with a mandate to bring healing to a hurting world, to touch lives and restore hopes to the hopeless. It is the vision of this commission to communicate the virtues of Christ healing power through the preaching and teaching of God’s word to a hurting world. It is the mission of our dynamic corporate church of influence to demonstrate the virtues and excellence of Christ to the people and empowering them to do the works of God. A journey that gave birth to a household name called “Day of Recovery”, an outreach healing crusade that has held both home and in several countries all over the world with visible signs, miracles and healings. Many years ago as a teenager, Dr. Antoni Okoh was healed of a strange ailment through the ministry of R.W. Schambach. Hence, the turning point that birthed the passion to see the sick healed. This passion propelled the man of God to preach the gospel according to Christ in meetings where God used him mightily to heal the sick and broken hearted, restoring the lost sheep to the fold and expanding the kingdom of God through his preaching, teaching and healing. “Recovery Channel TV” is our avenue to showcase Gods healing and awesome power to the world, not limiting the efficacy of Gods power to just within our immediate environment, thus enacting the mandate God gave in “Acts 1:8; but ye shall receive power when the holy ghost comes upon you; and ye shall be witness’ unto me both in Jerusalem and in all Judea, and in samaria and unto the uttermost parts of the earth”. The “Recovery Channel” can be viewed on MyTV Free-to-Air Satellite Decoder, on Roku Internet Streaming and Online via http://recoverychanneltv.org, for technical assistance call +2348035582098.